DEATH METAL POPE is a metal band from Long Island, New York. Formed in 2014, the band has captured a sound and vision that takes influence from all genres of heavy music. 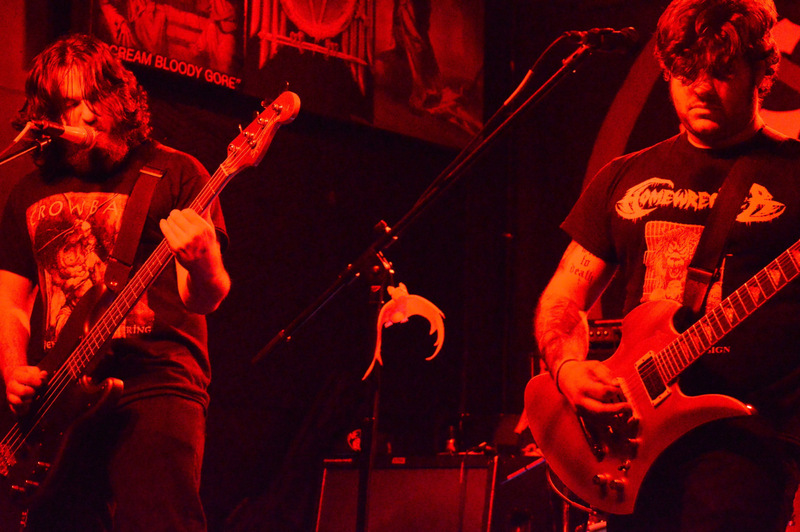 The three-piece released their first EP, “Tardus Mortem”, in 2015, a doom-laden offering of depression. Despite their name, there is very little death metal involved. In an era of what seems like too many bands taking themselves much too seriously, the band’s name comes from a string of words with no meaning as a childish display of stupidity. DEATH METAL POPE believes in keeping the spirit of DIY alive by retaining a strong and persistent work ethic. They plan to play anywhere and everywhere they can until they outstay their welcome – and considering their rude, unlikeable temperaments, that will probably come sooner than later. You may be unfortunate enough to see them in your city very soon.